It is recommended that your roof is inspected and maintained at least twice a year to maximize roof performance and longevity. A detailed commercial roof inspection including an end-report with photographic documentation, drawings, and membrane / substrate analysis. Need a commercial roof inspection? A DETAILED COMMERCIAL ROOF INSPECTION INCLUDING AN END-REPORT WITH PHOTOGRAPHIC DOCUMENTATION, DRAWINGS, AND MEMBRANE / SUBSTRATE ANALYSIS. We use the latest infrared technology to determine moisture issues and problem areas that aren't visible to the naked eye. We utilize this moisture survey to decide if an existing roof is suitable for a retrofit roof and to help determine the overall condition of a roof. 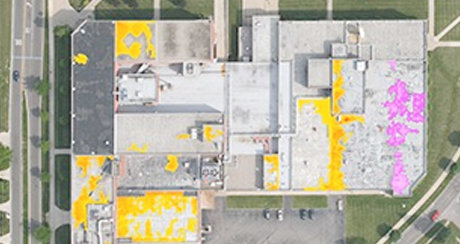 THERE ARE DIFFERENT NON-DESTRUCTIVE METHODS WE CAN DO TO SCAN YOUR COMMERCIAL ROOF FOR MOISTURE, SUCH AS THE AERIAL INFRARED MOISTURE SURVEY.A simple, non-destructive procedure that accurately identifies roof moisture before there are visible signs, structural damage or business interruption. 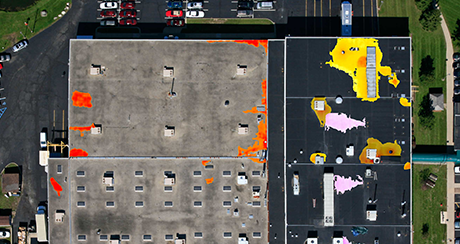 This scan is done by drones, measuring various hot spots on your flat roof. Water retains heat and therefore this is where the moisture problem areas live. Be proactive, not reactive. 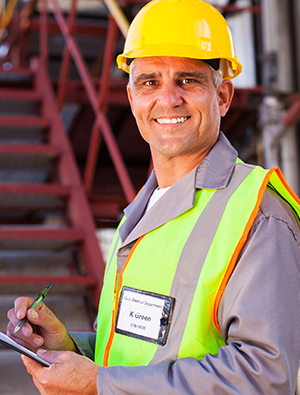 Guarantee that you're getting commercial roof inspections twice a year to ensure that any problem areas are identified. Documents roof condition, detects roof problems early, reduces unplanned expenses, and extends roof performance. 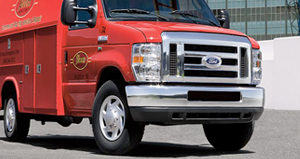 24-hour 800 number for fast, convenient emergency service that locks in the labor rate and response time. We identify locations where standing water may reside for over a 48-hour period. Drains will be cleaned and debris removed from your roof to extend roof performance and protect internal operations from disruptive leaks. We document roof wear caused by foot traffic, which can compromise and damage a roof system. Loose metal trim, membrane and roof top unit parts will be noticed before wind opens up the roof or blows loose parts across the roof. Notate discharges from roof equipment such as petroleum products, greases, oils and fats, acids and the like. Most manufacturers warranties require that your roof is inspected twice per year by a manufacturer licensed applicator. Our commercial roof inspection program will help your existing roof system serve you longer and therefore, save you money. 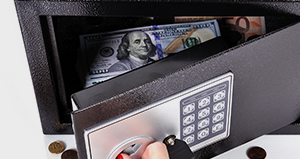 We guarantee you priority emergency repair service. 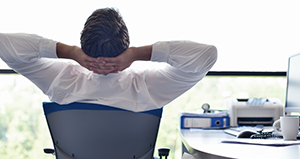 It is a great convenience to have qualified & experienced help readily available as soon as a problem is discovered. No waiting in line. 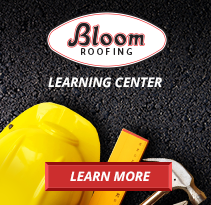 A Bloom Roofing roof maintenance program’s periodic inspection of your roof will help catch problems – before they catch you!